Recently I found myself at work without my Microsoft Zune mp3 player and wondered, is there a way for me to listen to all of my music from my home server? I did a few Google searches and found this great open-source project called Subsonic. 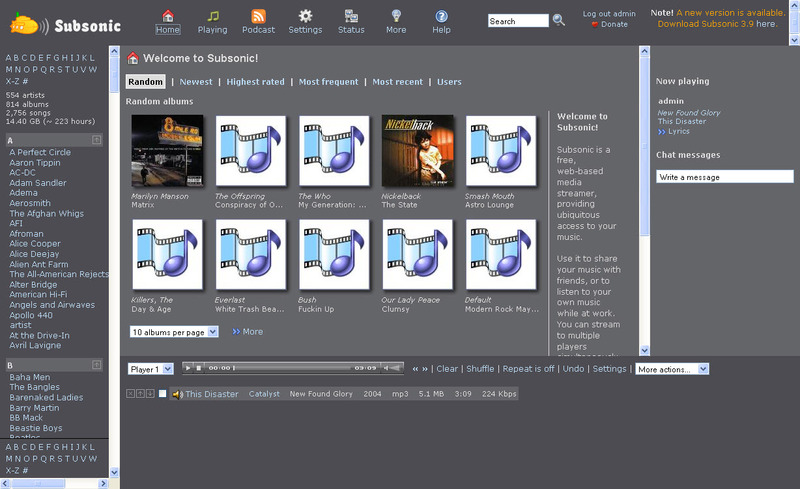 Subsonic allows you to stream your mp3s across the internet to a browser or a phone or most other internet connected devices. 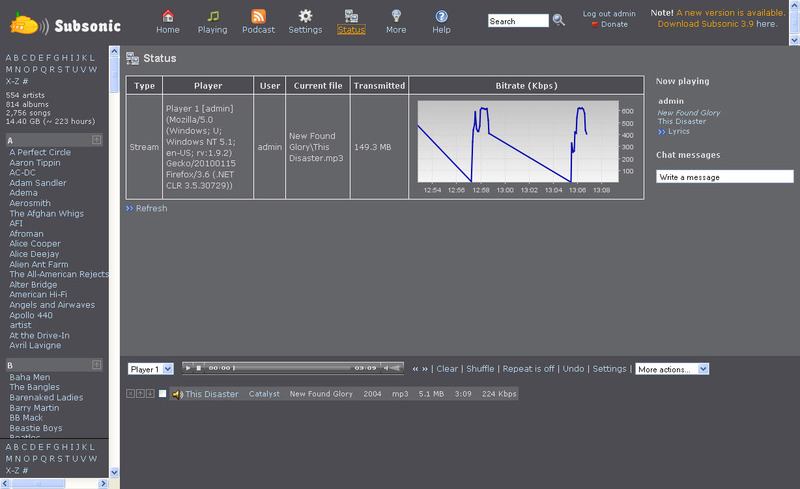 You don’t necessarily have to have a home server to make the product work but it does need local access to the mp3s. The interface is very simple for anyone to use. It lists all the bands on the right side and you can select though to view the different songs and albums you have in the main window. Then all you have to do is build a playlist and hit play. It will also show any album art for any of the albums you have (I’m not real big on album art as you can tell). It has a few different methods to play music but by far the most important for my use is the flash player that streams the mp3 directly to your browser. This is how I listen to my music everyday. Subsonic has tons of built-in features that makes it both flexible yet not complicated to get running. 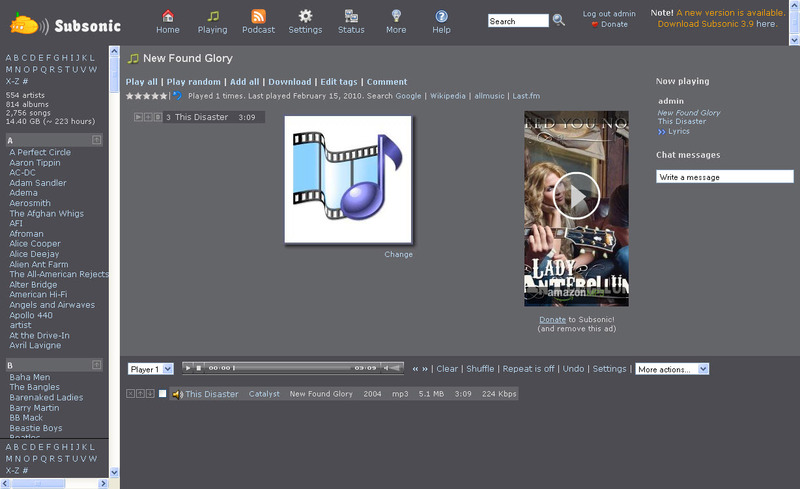 It has a lot of options that allow you to customize how the application transcodes on the fly files that aren’t mp3s so they can be played via the flash player. You can also limit the bandwidth to a player which can help if you are trying to support multiple users, have limited bandwidth from the server location or sending music to a mobile device (cell phone). It has an integrated WAP site so you can browse and build playlists with any phone with a browser. It also supports downloading of podcasts so you can listen to those as well, however I have yet to try this feature. 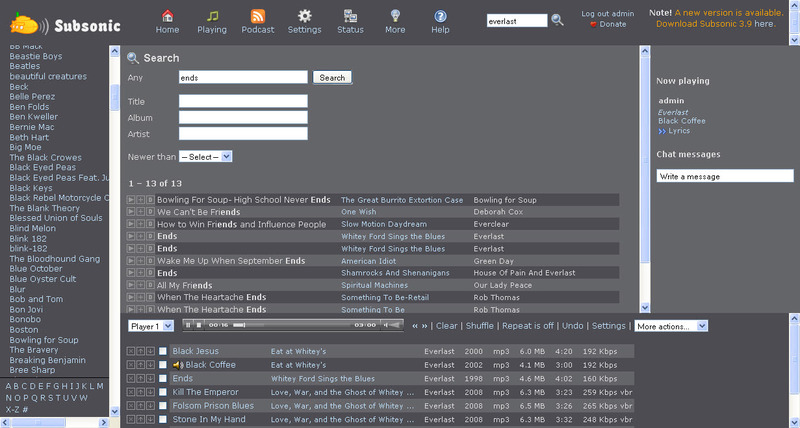 The application also supports scrobbing to Last.fm so you can share with your friends what you listen to via Subsonic. The application also supports library searching so you can find whatever song you need for the moment without having to remember or browse to that artist. This app was impressively easy to setup, and reliably streams all the music from my house to where ever I might be on the go. The interface is intuitive and supports search and Last.fm integration. On top of all of that it is free and open source, which I just love.